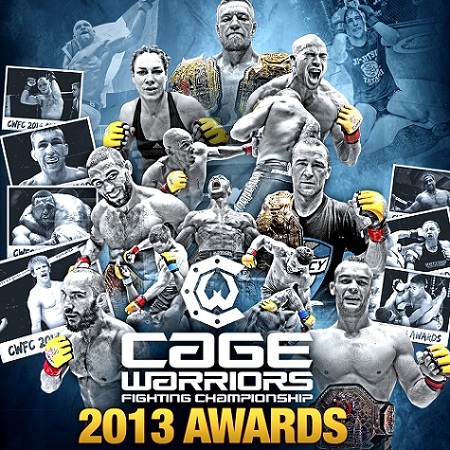 Voting is now open in the 2013 Cage Warriors Fighting Championship awards and we’d ask you all to vote, not only because CWFC is Europe’s #1 promotion but because stacks of Scots are on the list. As a wholly impartial media source, we would in no way urge you to vote for Dean Reilly or Joanne Calderwood for best KO, for James Doolan as best coach, for Stevie Ray as Breakthrough Fighter of the year or for his part in the match of the year against Ivan Buchinger or the Dinky Ninjas as Best Team because that would be unprofessional. In fairness, it’s a stunning field of contenders with plenty deserving winners. If you’re not persuaded by our subtle push towards rabid pro-Scottish voting, you could do worse than vote Jim Alers for fighter of the year, Martin Buschkamp vs. Matteus Lahdesmaki as Fight of the Year and Brett Johns or Sean Carter as Breathrough Fighter of the Year. Or actually, pretty much anything that is nominated because the nominees are wall to wall awesome, which is a testament to all involved in Cage Warriors and reinforces the promotion’s status as one of the world’s top promotions. Make your votes known here and if you need a refresher, Cage Warriors have kindly posted all of 2013’s fights on their YouTube channel, so check them out and while you’re there, subscribe as well, just to make them feel appreciated. Two cards jump out from next week’s schedule, as Bellator and Cage Warriors continue to fill the gaps between UFC events with compelling cards deserving of genuine international interest. The main card is all about tournaments, as we have four semi finals from the Middleweight and Heavyweight tournaments (although the HW semis are actually the first round of the tourney, unlike all the others this season…) and the final of the Summer series Bantamweight tourney. Heading the card are the HW semi finals, each featuring a former UFC fighter in the shape of Cheick Kongo and Lavar Johnson. Kongo is the draw of the two, having left the UFC on a 1-2 run after a largely successful seven year run. Most interestingly, Kongo faces English heavyweight. Mark ‘the hand of’ Godbeer who may have never competed at this level before, but he’s never been to decision and has a habit of scoring knockouts – which Kongo seems to have become susceptible to. The Bantamweight final, to earn a shot at Eduardo Dantas’ belt is a tasty one as Rafael Silva puts a twelve fight winning streak on the line against Anthony Leone who had amassed a 5-1 streak since a disastrous run of 0-4 in 2010-11. Both are experienced fighters, with Silva probably having the edge on the feet. Should be a good scrap. In the Middleweight semis, the choice bout is between Danish knockout artist Mikkel Parlo and undefeated submission specialist Jason Butcher. Bellator 102 can be viewed on Spike TV in the USA and shows on VIVA in the UK after a week’s tape delay. Headlined by two TUF veterans and featuring a wide open tournament to crown the new lightweight champion (following in the footsteps of Conor McGregor) this card is just another example of why Cage Warriors is the best MMA organisation in Europe. Topping the card is fearsome striker Bola Omoyele, on a run of six first round victories via his fists facing rangy submission specialist Aaron Wilkinson who is 4-2 since his UFC release in 2010 and most recently lost a decision to Dinky Ninja, Alan Johnston. The real draw, however is the Lightweight tournament with two veteran finishers in Ivan. Buchinger and Mick Sinclair on one side of the draw and the very experienced Jason Ball taking on Scotland own former BAMMA British Lightweight champion, Steven Ray in the other. Throw in some familiar faces who are guaranteed to throw down like Spencer Hewitt and Nad Narimani and the faith I have in Ian Dean’s skills for unearthing fighters who I’ve never heard of but end up being worth remembering, this is a fantastic card. Cage Warriors 60 can be viewed on Premier Sports in the UK, Joe.ie in Ireland and either MMAJunkie.com or CageWarriors.tv everywhere else. It’s been a big weekend and a busy week, lets get into it. Can you see us smiling from here? Glasgow’s own Dinky Ninja Fight Team had three guys fighting at the weekend, with big wins for Martin Delaney, winning the Made 4 the Cage European Lightweight title, Kevin Brooks at Supremacy and a Thai win for Martin McCann. Dinky Ninjas now hold over half of the Lightweight belts available on the UK scene, including the Vision, On Top and BAMMA British straps. Top team, or what? On Top 7 may have been cancelled but Cage Warriors stepped in and offered to transfer all bouts to their show in London at the start of March. This keeps the likes of Paul McVeigh, Graham Turner and Dan Hope active and actually on a bigger stage than previously. Furthermore, Cage Warriors have extended their e-broadcasting deal with MMA Junkie so we’ll be able to watch live. That’s called turning a frown upside down. Cage Warriors tweet this morning that they’ll be announcing a title fight for CW53 in Glasgow in April. By process of elimination, I’m predicting Jim Alers vs. Robert Whiteford for the vacant Featherweight title. That would be AWESOME. Bellator grind on with another show, another title match and another tournament opening round. This time sees ‘Dudu’ Dantas facing off with old mentor, Marcos Galvao in a compelling bout that Dantas won off the back of some super sharp boxing, laying Galvao out with an inside uppercut to remove that annoying loss to Tyson Nam from the most recent slot on his record. Those Nova Unaio boys are a bit scary. We learned a lot this weekend. We saw yet again that UK fans are awesome, filling the venue for the prelims (so many empty seats for these fights on Vegas cards) even when they decide to have a brawl in the crowd. We saw judges favour takedown defence and landing strikes over wrestling in Vaughan Lee’s win over Motonobu Tezuka. We saw Andy Ogle dominate a grappling heavy match against Josh Grispi, showing a massive development in his game. ‘The Little Axe’ is here to stay, and on that form is bad matchup for anyone at 145lbs. We saw Terry Etim and Paul Sass, usually two of the most reliably dangerous UK fighters drop their second straight to canny grappling performances. Not nearly so happy about that. On the main card, we learned that if an American grappler says they’re going to stand and trade with a British striker in the pre-match presser, THEY ARE LYING. Jimi Manuwa used wrestling to get the better of Cyrille Diabate, with the damage actually being done with a takedown, giving Manuwa his third successive doctor stoppage win. Can anyone answer the bell against this guy? Cub Swanson and Dustin Poirer put on a predictably great back and forth match that was a lot closer than the two 30-27 scores for Swanson would indicate. He’s on a real tear now and has to be in line for at least a #1 contender fight next. In the main event, Renan Barao looked great. I had him 29-28 up going into the championship rounds and he slapped in a submission to make that academic. More surprising was the way Barao stood and traded with McDonald for most of the match, showing the extent of his confidence in his Muay Thai and capoeira influenced skills. Given Dominick Cruz has been out for almost two years… you have to consider Barao the favourite going into their unification bout later this summer. 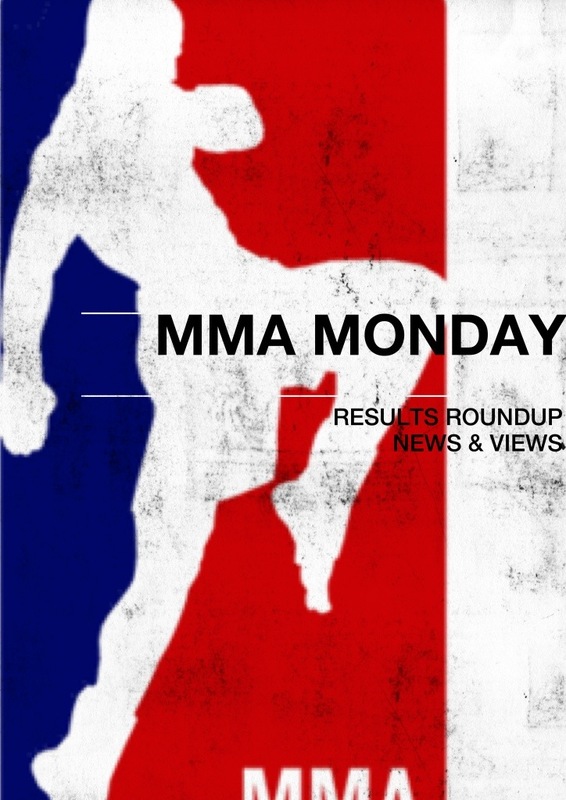 This week is all about Rousey-Carmouche and we’ll have a metric fraktonne of articles on that card, from a breakdown of the main event, giving the somewhat overlooked but quite awesome undercard it’s due attention and other pieces on what this means for WMMA, MMA as a whole and also dealing with the nature of stereotypes and bigotry in MMA. 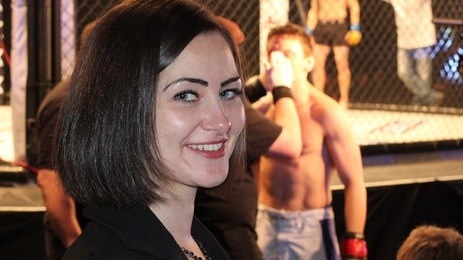 Fighter’s Wives – A Good Thing for UK MMA? Actually, YES. I’m sure most of us grimaced when we first heard this was happening, after all the connotations of ‘footballer’s wives’ doesn’t inspire confidence and Channel 5 aren’t exactly renowned for their deft touch where sensationalism is easier. The concept of a show titled ‘Cage Fighter’s Wives’ on the nation’s most lowbrow major station had all the hallmarks of doing more damage to MMA in the UK than good. Admit it, you can see the editorial slant which emphasises the blood, picks those fighters with stereotypical bouncer attitudes and airhead partners to further push UKMMA back into the shadows for the sake of a short term sensationalist ratings spike coming a mile off. Except, that doesn’t seem to be the case at all. Channel 5 seem to have taken the high road in the best interests of their long ter, association with major UK promotion, BAMMA. For a start, dropping the ‘Cage’ part from the title helps. Sure, MMA is most prevalent and for that matter safest when a cage is in effect, but the word itself has connotations of excessive brutality (thanks WWE) that might just put your casual viewer or moral high horse type on the back foot from the start. The biggest plus point looks to be the choice of fighters and their partners. We have a selection of the most likeable, charismatic fighters in the UK scene and their better halves who range from doctors to ring girls, but what matters is that they all come across as real, likeable people. Look at Paul McVeigh, with his love of cheesy dance movies, Colin Fletcher with his “Freakshow” persona combining with the fact that he actually comes across as a nice guy on TV (we know this from his stint on The Ultimate Fighter: The Smashes) and Brad Pickett who plays up to the Cockney Rogue stereotype at every opportunity, but always with a knowing smile? It seems that this series will follow more in the footsteps of last September’s ‘Real Lives’ documentary on Channel 4 that followed a handful of the Dinky Ninjas around the country and added some much needed colour and context to the public perception of MMA in the UK, except that this time the focus is on the fighter’s partners rather than the fighters themselves. I’ve not always been a fan of Channel 5’s approach to MMA (yes, I know that Alex Reid = ratings from the reality show/glamour mag crowd, but could you shine some light on fighters that are, y’know GOOD? Such as the two British champions, Steven Ray and Tom Breese which BAMMA crowned at the last event but didn’t make the TV broadcast – rant over) but this documentary looks like it could show another side to our fighters, it’ll show them as people and we’ll get to see into their lives through the viewpoint of those closest to them. This documentary could help humanise MMA in the eyes of a suspicious mainstream, and while anything that helps raise the profile of the sport is a good thing, I get the feeling that this show will be positive attention rather than the tabloid bloodbath I first suspected. I’ll be watching and I hope you do to. If nothing else, this show getting ratings will only encourage Channel 5 to give BAMMA more airtime and perhaps open up other channels to the many other worthy promotions in the UK. Saturday 5th December is a red letter day for UKMMA and without doubt the biggest ever night for Scottish MMA to date. Europe’s no.1 promotion, Cage Warriors Fighting Championship are bringing their show north of the border for the first time, building on the good work done by the likes of SFC/Vision and On Top to help push MMA in Scotland to the next level. It’s a testament to the depth of talent in Scotland that the card is packed with locally based fighters, yet there can be no accusations that Cage Warriors have booked a second rate card for a developmental market. Indeed, headliner Paul McVeigh is a two weight class champion in Cage Warriors and alongside fellow Dinky Ninjas Graham Turner, Alan Johnston, Dan Hope and Mark Connor, he’ll be looking to make home advantage count. 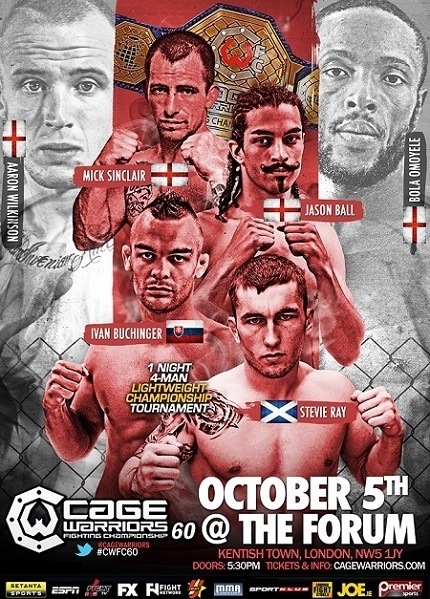 To complement (and in most cases, compete against) the strong Scottish-based contingent Cage Warriors have brought top quality opposition from America, Brazil, England and Ireland making this easily the most stacked MMA card to ever take place in Scotland. Even better (although it doesn’t make any difference to those of us who will be there in the flesh) the whole main card will stream worldwide, even accessible to viewers in the UK live on http://www.mmajunkie.com from 9pm UK time. Hot on the heels of BAMMA’s unfortunate ‘live’ debut on Channel 5 which concentrated on celebrity fighter Alex Reid and all but ignored all of the quality MMA on show, I can’t think of a better way for UKMMA to raise its head than by a stacked card from the continents top promotion being shown on the world’s most prestigious MMA commentary site. So, if you’re not going to be in the Kelvin Hall on Saturday night, type http://www.mmajunkie.com into your search engine and get six top notch fights, live and for free, hosted by the always excellent commentary of Josh Palmer and John Gooden. In the main event, we have former Cage Warriors Featherweight and Bantamweight champion Paul McVeigh (18-7) making a measured drop to Flyweight with a 130lb Catchweight bout against Team Sklavos fighter Brandon Hempleman (8-1). While a supremely well rounded fighter, McVeigh has two thirds of his wins via submission and comes into this match supremely motivated to win, following setbacks on the Ultimate Fighter and a loss in his last fight to Erik Perez (who has since gone 2-0 in the UFC) not to mention fighting in front of a home town crowd. Across the cage, Hempleman is riding a five fight win streak and has shown himself to be a capable fighter with most of his wins coming by decision or submission. I may be biased but despite Brandon’s momentum, I think a combination of McVeigh’s experience, home town advantage (compounded by Hempleman suffering the dreaded ‘eastward’ jet lag) and sheer excitement (in his own words, he’s like a highly caffeinated chimp at the moment) will be too much for the American and the roof will lift off the Kelvin Hall when his hand is raised. The co-main event sees Ireland’s Owen Roddy (11-3) ride a seven fight win streak, including a win over UFC vet Shannon Gugerty into a bout with Brazilian submission specialist and Bellator veteran Wilson Reis (15-4). Roddy is a hell of a fighter and deserves to be more well known, but looking at Reis career the only guys to beat him have been absolutely top level, with Eduardo Dantas, Patricio Friere (twice) and Joe Soto occupying that exclusive club. On that basis, I’d have to make Reis the favourite here, but if Owen keeps the fight standing (not saying he lacks ground skills, it’s just that Reis is insane from a grappling PoV) and takes some strength from the Scottish crowd (who are likely to adopt an Irishman as their own) then anything can happen and the opportunity for a breakout win is there. Sadly the bout between Robert Whiteford and Chris Fishgold was scrapped due to both guys getting injured and that’s a shame, because I was really looking forward to seeing a bout between two guys who are not so much knocking on the UFC’s door as taking running kicks at the lock. Next up, we have our second Dinky Ninja, Alan Johnston (5-1-1) looking to make his name against the Ultimate Fighter veteran Aaron Wilkinson (10-5) in a compelling Welterweight bout. Wilkinson is riding a 3-0 streak since being released from the UFC and has really set about re establishing himself as one of the UK’s top domestic fighters. Despite that and his advantage in experience, Wilkinson better not take Johnston lightly as he’s well rounded and has a reputation for starting strong and finishing early. Heavy handed Cage Warriors mainstay Denniston Sutherland (18-8) has had to reset in the build up to this event as his original opponent, Mats Nilsson pulled out and was replaced by a very different opponent in the shape of unbeaten knockout machine Scott Askham (7-0). It’s been a hell of a year for Graham ‘Afterburner’ Turner (20-7) as he’s become a champion in both Vision Fighting Championship (at Lightweight) and On Top (at Featherweight) and is now set to make his Cage Warriors debut against Nathan Beer (13-4). Given that Turner has home advantage and is on the crest of some incredible momentum, I have to make him the favourite as Beer comes into this fight on 0-2 streak. Both guys are well rounded fighters and this fight could go anywhere, but I fully expect another Afterburner win here. Rounding out the main card, we have Avi Jack (6-1) facing off against yet another Dinky Ninja in the shape of Dan Hope (8-5). Between them, these fighters have gone to a decision once in a combined twenty fights, so I’m betting this one doesn’t go the distance either. Again, this is a bout where one fighter has all the momentum as Jack rides a 2-0 streak in 2012 while Hope is sitting on a 0-3 run of form. Will a partisan crowd make the difference here? The undercard also features notable Scots fighters Rob McCrum (who has embarked on some of the best nature pre-fight smack talk imaginable via Twitter with his opponent, Alex Enlund) and Mark Connor so the atmosphere is sure to be electric from the get go. 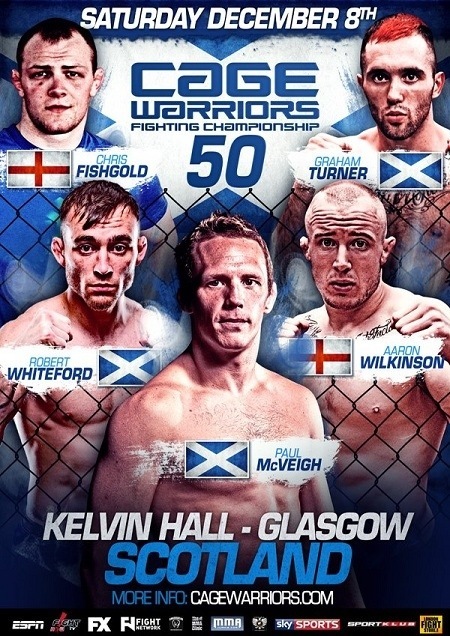 So, if you’re within commuting distance of Glasgow and haven’t picked up tickets yet then hit up http://www.cagewarriors.com and get yourself sorted out. Those travelling through to the show should also check out the Vision Grappling Competition which is taking place in the same venue during the day and I can recommend Brewdog just up the road as a lovely place for a pre event pint and/or burger. For those of you unable to come, please check out the free stream of the event on http://www.mmajunkie.com as given the usually shoddy mobile signal in the Kelvin Hall, we shall likely be unable to do our usual live tweeting of the event. Also, we’ll be having far too much fun. For all those attending, Team Kumite will see you there and for those watching via their Internet connected devices, we’ll make sure and wave from the cheap seats. Top quality MMA is coming to Scotland, and I CAN’T WAIT.